Betway have expanded into a number of different countries recently as well as Ghana. They have also just launched https://www.betway.co.za in South Africa. Although Stephen Appiah will be concentrating on promoting the company in Ghana he is well known in many countries around the world. Steven Appiah’s role as brand ambassador will involve him acting as a spokesperson for the company. He will also participate in programs that have been devised to appeal to supporters of particular sports and to assist clients that have an account with the site. Appiah has worked with Betway before, although in a different capacity. He was the face of the Betway Talent Search which was held in Ghana to find young people with natural talent for football and help them build a career in the sport. This is a real opportunity for young people in the country to pursue a career in sport that otherwise may have not been available to them. Appiah played for Ghana in two world cups and was the captain of the team. He also had a very successful playing career in Italy, playing for several Serie A teams such as Juventus, Udinese and Bologna. He retired from playing in 2012. He is one of the most well known and popular footballers that Ghana has ever seen and this makes him a good choice to be the face of Betway in the country. He has been described in the past as Ghana’s most respected footballer. There are also benefits of this partnership for Appiah himself. Betway are an international company and they have contacts in the footballing community from all over the world. Stephen Appiah is currently trying to make a name for himself as a football coach and he has ambitions to be a world class manager someday. Some of the connections that he will make through his work with Betway could help him to achieve this. 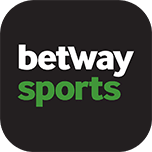 Although Betway are a relatively new company in Ghana, they have made quite a difference in the sporting world already. Initiatives such as the talent search have helped to uncover new talent in the world of football and this could be extended to other sports. They are committed to investing in sports development and infrastructure in the country and this will bring many benefits. It seems as if everyone is a winner from the deal that has been made between Betway and Stephen Appiah. The country as a whole will benefit from the investment that Betway are bringing to Ghana. Appiah is a much loved and well respected footballer and so his work as a brand ambassador really has the potential to increase the reputation of the company. Finally, Appiah himself will have the opportunity to meet some of the best coaches in the world and this can help him to further his own career as a manager.